I've decided to have a bet on the incredibly competitive Europa League. I like the look of Udinese who are currently top of Group I and favourite to win the group now having beaten Atletico Madrid in the last round. The latter are 12/1 to win this cup whereas Udinese can be backed at 22/1 or bigger. Udinese have started well in Serie A (they won again today), lying third as I write just behind those great names Juventus and Milan. I have had 2pts win, 1pt place @ 22/1 Udinese with Stan James to win the Europa League. If you have a bwin account you can get 24/1 but it's a win only market. I've been watching the Istanbul tournament this week and earning a few quid betting in-running on the televised matches. Having watched nearly every match I would be amazed if Petra Kvitova and Victoria Azarenka do not contest the final. They are by far the best players in the tournament. The final round robin matches take place today. Kvitova plays Aggie today and should win on what we have seen to date. Aggie needs to win a minimum of one set to progress to the semi-finals. I think she might do that despite carrying a shoulder injury. Kvitova can have moments when she drifts out of a match and, of course, does not need to win the match to make the semis. I have had 1pt win Kvitova to win today's match by 2-1 in sets @ 3/1 with William Hill. Well now it's a two horse race now as Fallon is out of the running. This is good news for us as he was our third best result after Hanagan and De Sousa. I'm pleased we stepped in with the latest bet of 16/1 De Sousa as he has narrowed the gap to be just five adrift of the champion. Hanagan is still in the box seat of course but you won't get bigger than 5/1 De Sousa this morning (Ladbrokes). One thing which may work against PH is the fact that he is scheduled to ride at Ayr on Saturday. The ground is already heavy with more rain forecast so it's not inconceivable that the meeting could be cancelled. Talking of rain, I have just returned from racing in Galway where the ground was as heavy as I have ever seen. I was amazed that it wasn't called off. As for today it's an ironic choice of bet. Fallon in the last at Kempton. He is well drawn. Field reduced to nine runners as I write but SJ still offering 9/1 the selection. 1pt win The Name Is Frank @ 9/1 with Stan James. An interesting day's racing today at Yarmouth. All three contenders for the jockeys' championship are in action. De Sousa has his last day in the saddle before his enforced absence kicks in tomorrow. He has ridden three winners since we backed him for the championship @ 16/1 whereas his rivals have drawn a blank. Consequently he is now no bigger than 8/1. It looks like Fallon has the best chance of scoring today. Let's hope he gets no more than one winner. De Sousa is now five ahead of Fallon in second place. I'm having two small bets here today. 0.5pts ew Little Village @ 25/1 in the 17:20 and 0.25 pts ew Norcroft @ 25/1 in the 16:50 both with William Hill Both races 1/4 odds 1,2,3,4 but unfortunately will revert to first three should there be a non-runner. Total stake 1.5pts. Well this is not over yet. Both Paul H and Silvestre de S rode doubles today. Fallon drew a blank at Ascot (not surprisingly perhaps given his mounts). Paul's double was up at Catterick. S de S went to Wolverhampton this evening, after his Ascot commitments, to ride a double there. Interestingly neither PH or KF bothered to go on to the evening meeting. Even more surprisingly perhaps neither PH or KF ride at the only flat meeting tomorrow - Bath - where S de S has a few attractive mounts. Are PH and KF really committed to this race? Or does PH think he has done enough? The standings tonight are PH 149 wins; S de S 142; KF 140. Silvestre has four days' suspension to serve (starting 19/10) and that is partly why he is 16/1 against Fallon's best price of 7/2 despite being two wins ahead of him. The weather is set to change later in the week with Arctic conditions forecast to last up to ten days. Who knows if that's right but any abandoned racing could coincide with Silvestre's ban! We'll see. We don't want to finish up losing -12.5pts on this market, should de Sousa pull it off. Unlikely perhaps but to cover this eventuality I have just had 3.5pts @ 16/1 de Sousa to win jockeys' championship with Coral. This price is also available at Betfred as I write. I can relax now knowing we will win on the event. I'm off to Galway for a bit of racing later in the week. I hope it's not snowing there! What a tremendous day's racing we have in prospect at Ascot. Everyone would like to see Frankel win the QE11 Stakes "for the good of racing". However I have been tempted to take him on as we have a "dead eight" field, which is terrific for each way betting - provided of course there is not a non-runner. I am still cursing myself for not backing Dream Ahead e.w. against the odds on Goldikova in the Prix De La Foret (on Arc day). That day there were eight runners and it was 10/1 bar two. Dream Ahead won @ 7/2. Tomorrow they bet 1/3 Frankel, 6/1 Excelebration, 7/1 Immortal Verse and 33/1 bar three. My choice is the filly Immortal Verse and I have had 2pts ew @ 7/1 with Paddy Power 1/4 odds 1,2,3. The Polish number one is much improved of late having just won back to back tournaments in the Far East. She has always been seen very much as a counter puncher, and in many ways she still is, although she looks to be getting the measure of some of the top players. She could be in the top five before too long. She may need to hit the ball a bit harder to reach the peak but it all augurs well for Aggie in 2012. Naturally the bookmakers have reacted by cutting her in price to win the first grand slam in 2012. She is now a top priced 40/1 with skybet for the Australian Open. That could be worth playing however skybet would only lay me 25p ew. Yet another illustration as to why I shall be retiring from this price chasing game. Bookmakers will not lay bets to anyone who has a hint of a successful strategy. There are not many bookmakers betting on the French Open but a few have Wimbledon books. Aggie has a grass court tournament to her name as she won Eastbourne in 2008 before reaching the quarter final of Wimbledon (where she was beaten by Serena). 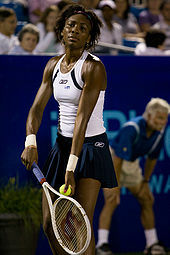 She reached the same stage at Wimbledon in 2009 and then fell to Venus. I had a small bet just now with William Hill: Aggie Radwanska to win Wimbledon 2012, 1pt ew @ 100/1 and they immediately halved her price. Not a coincidence. Should you wish to follow me in on this highly speculative long term wager the price is still available at Blue Square and 888.com as I write. An intriguing race with bookmakers going 14/1 the field as I write. Well William Hill is going 14/1 the field anyway. Other bookmakers have cut their prices under pressure from punters backing the Pricewise selections Sentry Duty and Mount Athos. However I am going for the lightly raced Keys despite the potentially poor draw in stall 24. He has been saved for this race following comfortably wins over 2m at Ascot and Newbury in July. With Richard Hughes in the saddle we have one of the best judges of pace in the game so hopefully he can ease his way through the field from his unpromising starting position. I have had 2pts win Keys @ 15/1 with William Hill. In fact I have placed the bet through the Racing Post IPad/IPhone application so in the very unlikely event that Keys wins by more than three lengths we will be paid out at 30/1. Here's hoping! Paul Hanagan was a substantial contributor to our 577 points profit in 2010 thanks to bets at 40/1. This year his winning the jockeys' championship could also result in a profitable year for us. However currently we are winning only nine points ytd. Unfortunately I think there is a real chance now of Paul being caught by Fallon who is just seven wins behind. Although the Irishman has a two-day ban next week, he appears to be pulling out all the stops to overhaul the current champion. Hanagan +78.5pts; De Sousa +7.5pts; Fallon -18.5pts. Therefore I am having a maximum 20pts win @ 9/4 Fallon with Paddy Power. This price is available with seven other bookmakers tonight (only Ladbrokes differ by quoting 7/4). I have chosen PP because of the possibility of a concession (eg if it was a dead-heat they might payout on both in full!). I have assumed De Sousa is too far behind to overtake both his opponents. Hanagan +58.5pts; Fallon +26.5pts; De Sousa -12.5pts. If you've been following the bets on my website you'll know why it has become much more difficult to win. If you are new to the blog and do not hold the substantial winning positions on Hanagan I would not recommend that you have a maximum bet on Fallon. However he is worth a bet @ 9/4 to a small stake even if you are not involved in the jockey portfolio. Well it would have been if I went to an office. Sunday a bit of a nightmare with two losers in the Arc. Only considered those drawn 1-6 so rather gutted to miss the winner which was a decent price and nicely drawn in two. Things did not get any better when Melanie failed to get through to the live stages of x-factor despite very good leaks to the contrary (including the Irish Independent). Just a small interest for me on the sand at Southwell (17:50) today. I have had one pt win Needwood Park @ 18/1 Ladbrokes (bog). If you are "lucky" enough to get a bet with bet £3.65p you can get 20/1 as I write. Another terrific race is in prospect and as usual there are sure to be be plenty of hard luck stories in what is a large competitive field. It's possible that Sunday's sorry tales could include one or both of the current market leaders: So You Think (drawn 14) and Sarafina (drawn 13). History shows that double-digit drawn horses are disadvantaged. As a result I am going to oppose these top contenders with two well-draw horses. Both my selections should enjoy the good ground which is forecast to firm up in the next 48-hours. I have had 2pts win Masked Marvel (drawn 5) @ 14/1 with William Hill (bog). Sure to get every yard of the trip in what could be a fast run race. Watch the PMU odds as he could start a bigger price in Paris. Also 1pt win Hiruno D'Amour (drawn 1) @ 14/1 with Ladbrokes (bog). Ran a good prep race behind Sarafina in Prix Foy on 11 Sept, his first race since May. Unlikely to be better odds on PMU because of fanatical on-course Japanese support. Total staked 3pts. We have it on reasonable authority this morning that Dublin girl Melanie McCabe has reached the live stage of X-factor. Therefore I have had 3pts win @ 14/1 Melanie to win X-factor with William Hill. The difficulty in placing bets at advertised prices continues. Today I decided to place 4pts each-way on Bayern Munich for the Champions' League @ 14/1 (1/2 odds 1,2). I have divided my stakes amongst Ladbrokes, Stan James, 888.com and skybet. In the Bundesliga Bayern Munich started with a shock 1-0 defeat at home (Aug 7). Since then they are 6/6 in the league with 21 goals scored and none conceded. In their three Champions' L matches (inc. premliminary rounds) they are 3/3 with five goals scored and none conceded. Therefore 26 scored none conceded in all nine matches since the defeat. Bets on now, total stake 8pts.